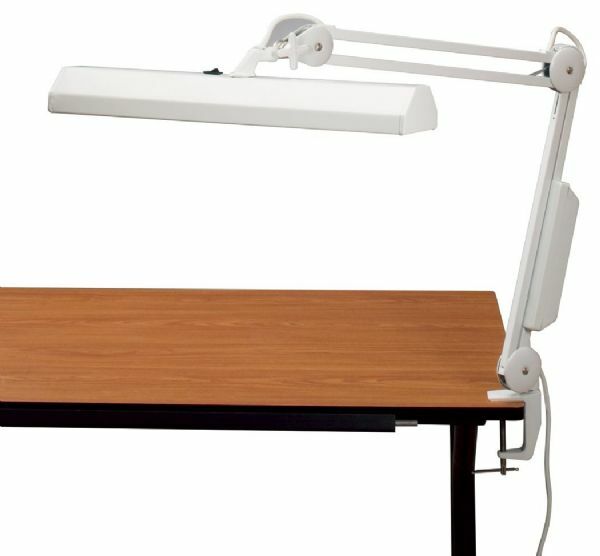 Ideal for office and drafting environments this extremely versatile and reliable task light features all metal construction and a heavy-duty desktop mounting clamp that fits up to 2½" thick surfaces. 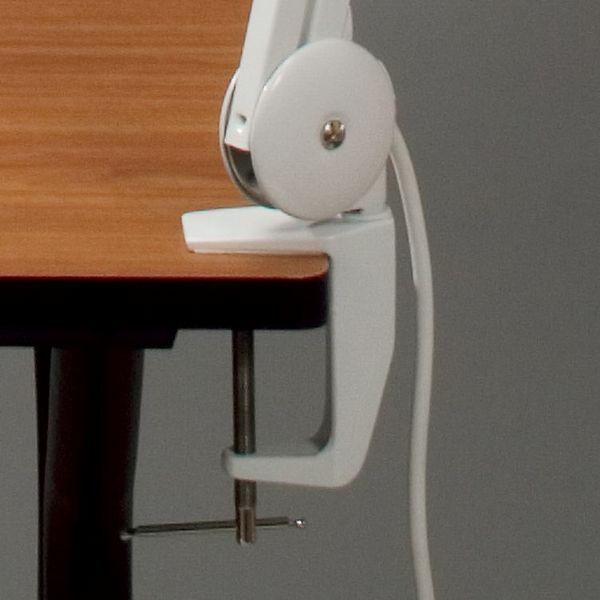 * The 38" reach extension arm offers a wide range of positioning options. * The 18" x 4½" heavy-duty rectangular metal shade is fully adjustable using the convenient thumb knob. 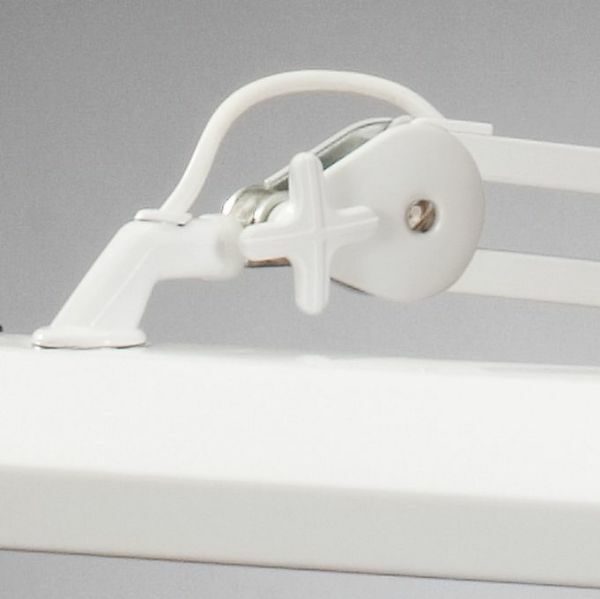 * Takes two 15w fluorescent bulbs (both included). * 3-prong grounded power cord. The shade size is 10" & up. 33" x 8.5" x 5.5"